Expo: Will MacBooks follow iPhone to 3G? Apple could also jump-start the market by offering an alternative to the expensive monthly service model that carriers typically use, said Gartner’s Ken Dulaney. Most consumers don’t travel frequently enough to justify spending $30 or more per month for cellular service on their notebooks, but they might be willing to buy a system with built-in 3G and pay for service as they need it, he said. Verizon has a little-known offering like this, in which users can pay $15 for 24 hours of service, according to spokesman Jeffrey Nelson. 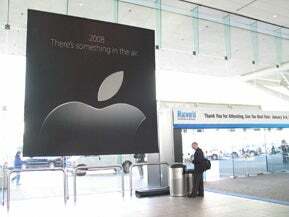 Macworld will feature live coverage of Tuesday’s keynote.